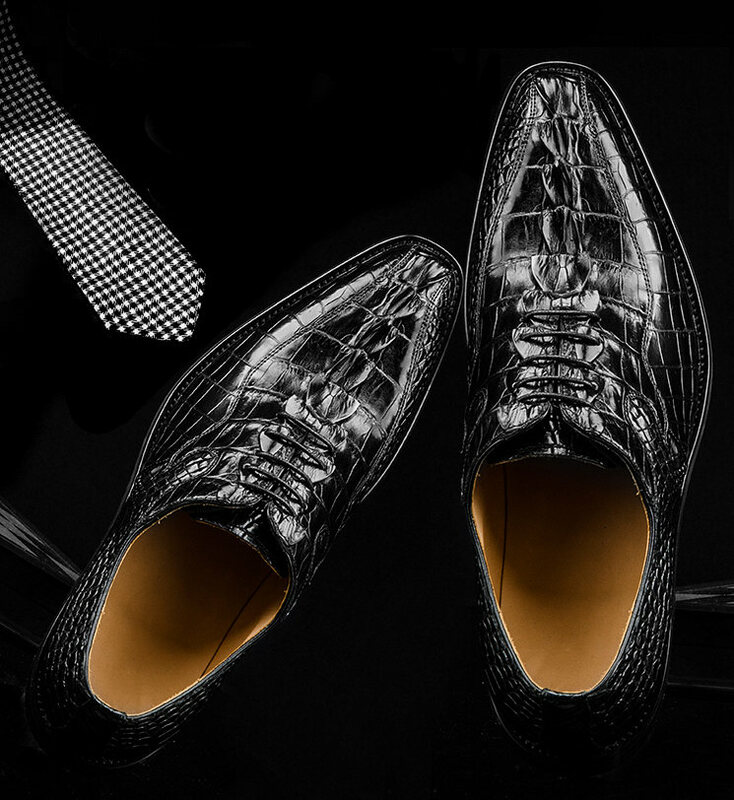 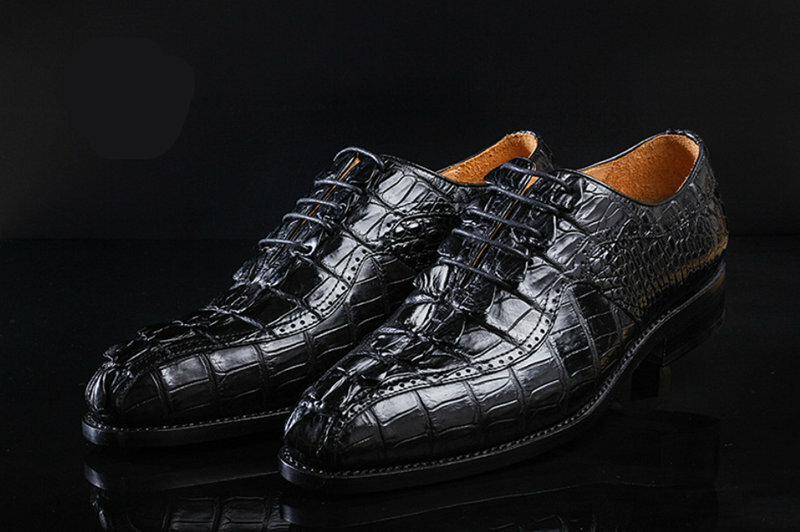 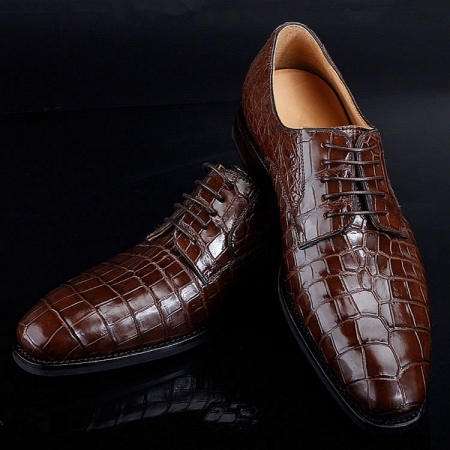 There is a trendiness in this pair of lace-up shoes that comes with an alligator tail pattern. 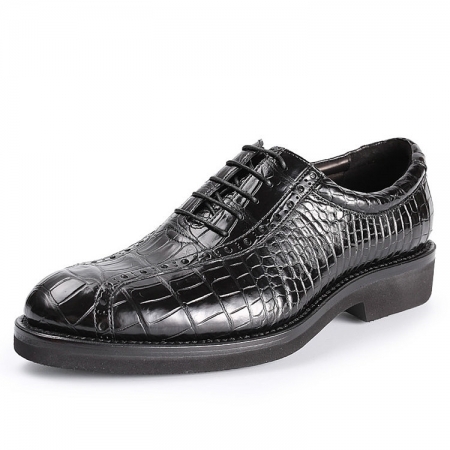 You can match it with a pair of formal trousers and a trendy shirt to complete your corporate look. 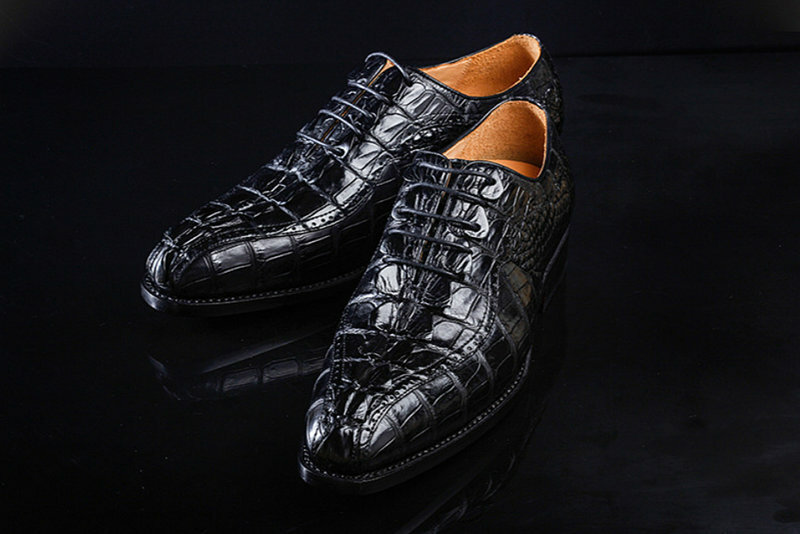 You will surely love the unique style of this pair of lace-up shoes from the house of BRUCEGAO. 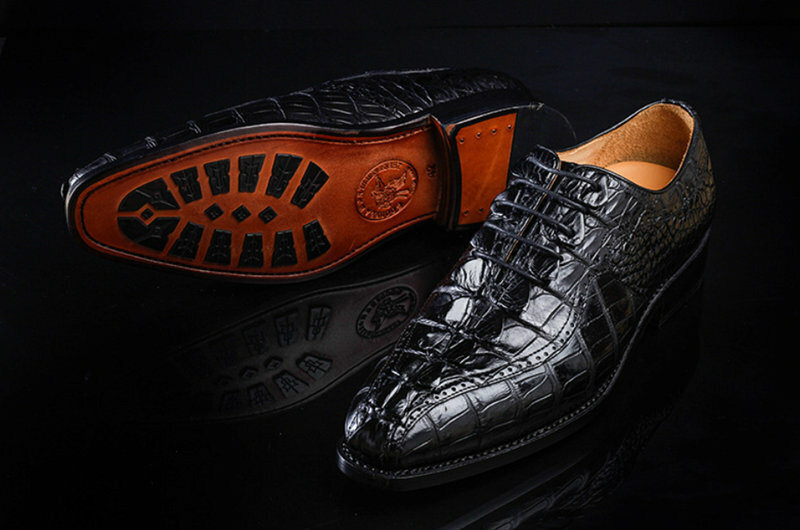 It features an alligator hornback pattern that lends it a smart appeal. 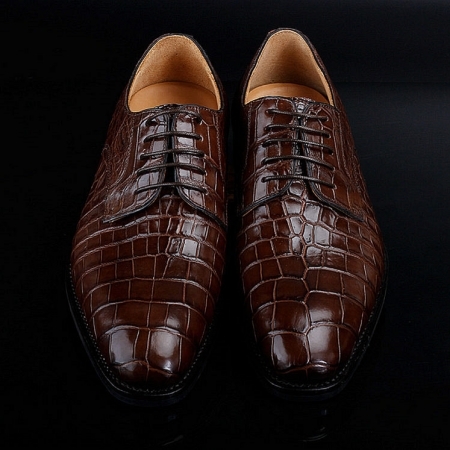 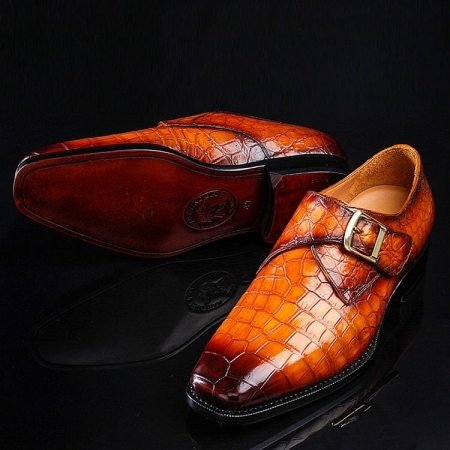 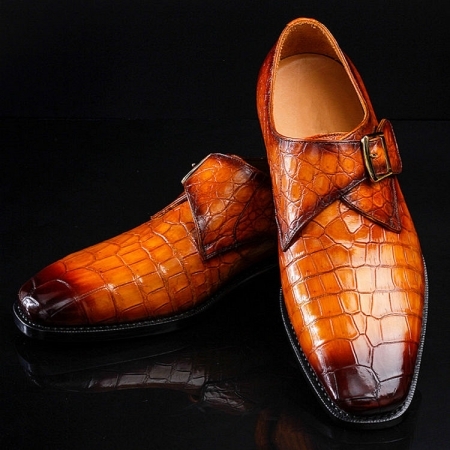 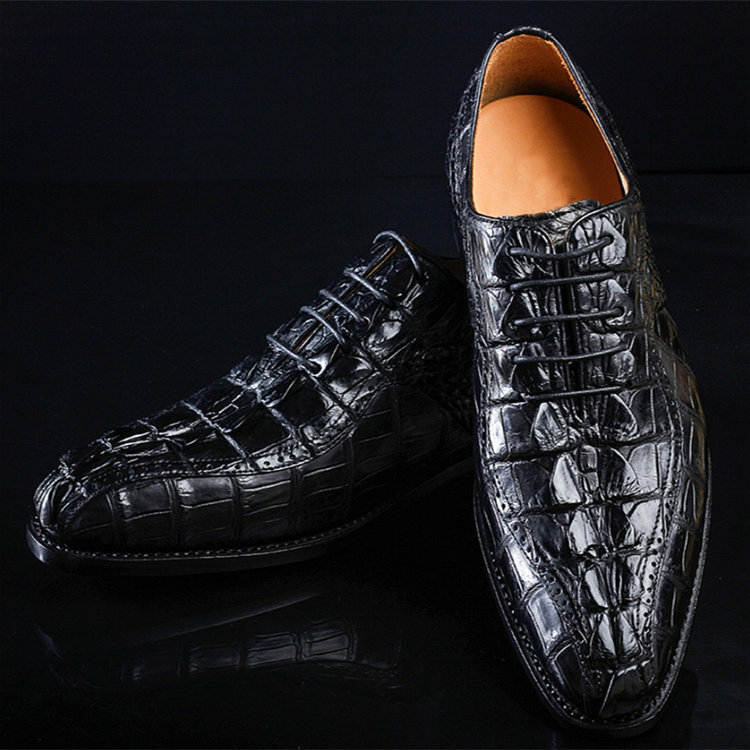 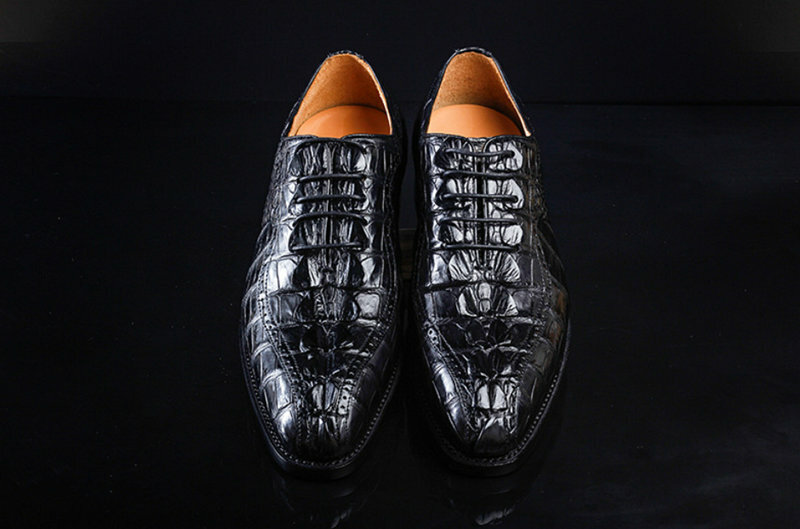 Further, the use of alligator leather lends it a refined look with a natural sheen. 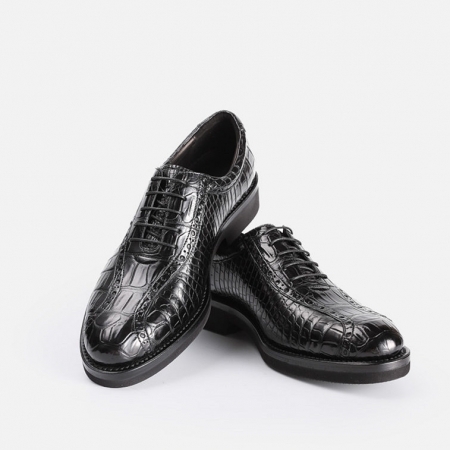 It also has a thermoplastic rubber sole that ensures a firm grip.